Utilise the power of hypnosis (non-medical) to uncover and heal past traumas or to access the gifts and insights of your subconscious mind. With hypno-analysis we can resolve deepseated issues such as phobias, anxieties, and sexual problems. And with powerful imagery techniques we can find more resourceful states of being to handle issues such as weight loss, stress, and chronic illnesses. Wellness is our natural state, and our bodies are waiting to return to it – all that is needed is a reminder of where we belong, a reconnection to our innate perfection. Issues that can be dealt with using hypnosis and hypnotherapy include insomnia, weight gain, athletic performance, impotence, headaches and migraines, spiritual disconnection, phobias, aimlessness, stress, superwoman syndrome, cancer, chronic illness, artistic block, depression, aimlessness, infertility, frigidity, financial loss, and grief. 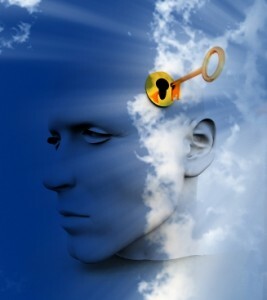 In fact, just about any condition you can think of can be approached using hypnosis. Hypnosis is a state of deep relaxation that allows negative conditioning to be bypassed so that inner resources of healing and inspiration can be accessed. But perhaps the easiest way to describe what hypnosis is is to describe how it feels. In a hypnotic state your body will become deeply relaxed and completely at ease, and yet your mind will be sharp and you will be amazed by your newly discovered powers of concentration and memory. The more relaxed you become the more resourceful you will feel, and you will find yourself brimming with possibility and with positive certainty. If you encounter any traumatic issues they will not seem stressful to you but will be accompanied by feelings of relief and joy as the pain leaves and the energy unwinds and releases you. At the end of a hypnosis session you will feel deeply relaxed and at ease with the world. You might even feel a state of deep joy or a quiet ecstacy. This is your inner self, your true state of being. You will not feel ‘out of it’ and you will not lose control. You will not be made to do anything you do not want to do – in fact you cannot be made to do anything you do not want to do. You are at all times conscious and highly aware of what is going on. Hypnosis is a safe and natural experience, and should you at any time begin to feel unsafe you will naturally bring yourself out of the state and return to normal awareness. Read the non-medical hypnosis disclaimer. Want to try a free self-hypnosis session? Go to the MP3 Downloads page for an extensive selection of professionally recorded self-hypnosis sessions – weight loss, smoking, phobias, pain relief, personal development, and much more. Remember, the subconscious mind accepts information as true if it is repeated often – so there’s real value in getting self-hypnosis recordings and listening to them as often as you can.